The program starts with a three-day Train-the-Trainer Seminar, an intensive course that teaches participants how to lead the award-winning NCBI Welcoming Diversity Workshop and NCBI Controversial Issue Process. The Welcoming Diversity Workshop is a one-day program that NCBI has implemented in hundreds of schools, universities, corporations, government agencies, trade unions, religious institutions, and community organizations throughout the world. 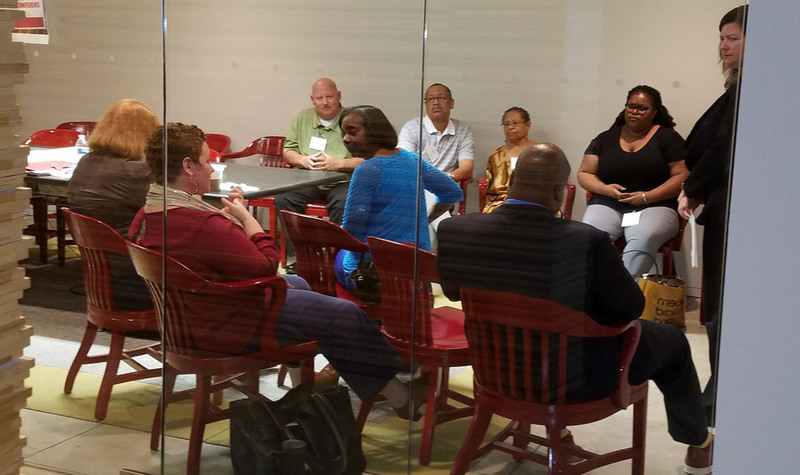 At the Train-the-Trainer Seminar, participants meet in small learning groups where they receive individual coaching in leading each component of both programs. The NCBI Controversial Issue Process helps individuals and groups to move hotly contested issues forward by teaching how to listen first to the heartfelt concerns on all sides and then to reframe the debate in a way that builds bridges. NCBI’s approach of combining emotional healing work with practical skill-training enables participants to learn quickly in a safe environment that values individual initiative. NCBI’s seasoned training teams, representing a wide variety of backgrounds, coupled with the diversity of the participants in the seminar, also provide a valuable resource that helps people understand how they are both alike and different.